Item # 311106 Stash Points: 2,795 (?) This is the number of points you get in The Zumiez Stash for purchasing this item. Stash points are redeemable for exclusive rewards only available to Zumiez Stash members. To redeem your points check out the rewards catalog on thestash.zumiez.com. 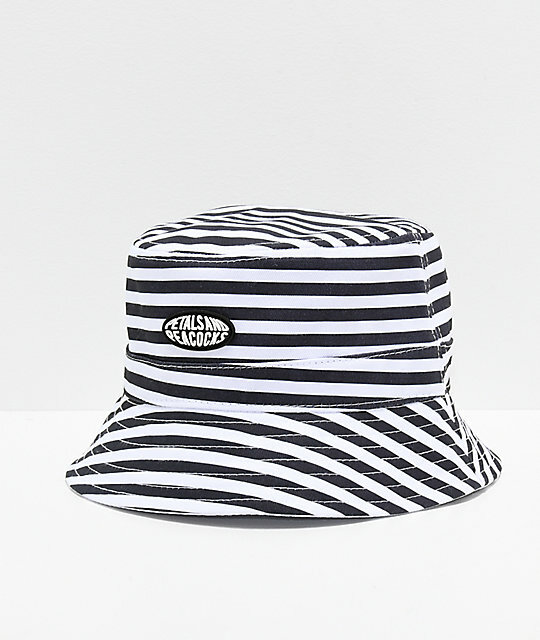 Top off your trippy looks in the Stripes Bucket Hat from Petals and Peacocks. 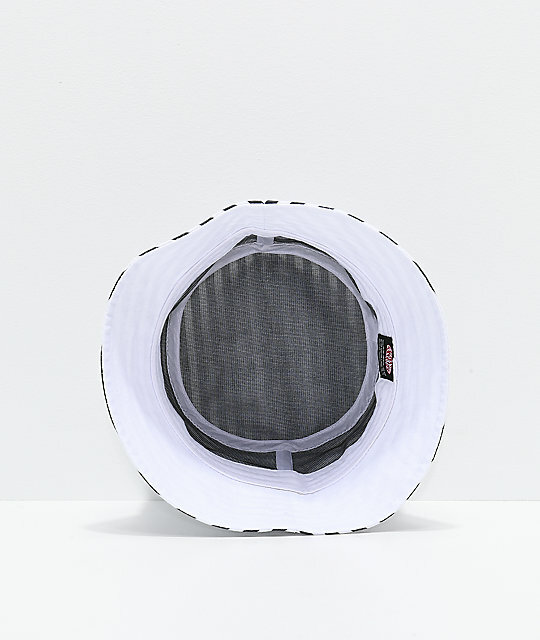 Featuring a mesmerizing black and white stripe pattern throughout, a soft brim, and a PU Petals and Peacocks brand patch at the crown, this hat will tie your casual looks together in style. Stripes Bucket Hat from Petals and Peacocks. Black & white stripes throughout. PU brand patch at the crown.